Mooncake is one of the leading bands of the Russian instrumental music scene and have been active since their founding in early 2006. While fitting in with the body of contemporary post-rock instrumental bands, Zaris stands out with its powerful orchestral sound. The guitar, bass, and drums core are supported by massive string movements, brass arrangements, lush sounding grand piano, vibraphone, and haunting vocal intonations. Mooncake’s music is defined by intricate but catchy melodies shadowed by atmospheric effects with a moodiness reaching from a somber melancholy to soar in majestic grandeur. Zaris is the second full length album by Moscow-based Mooncake and was released five years later after their first long play. 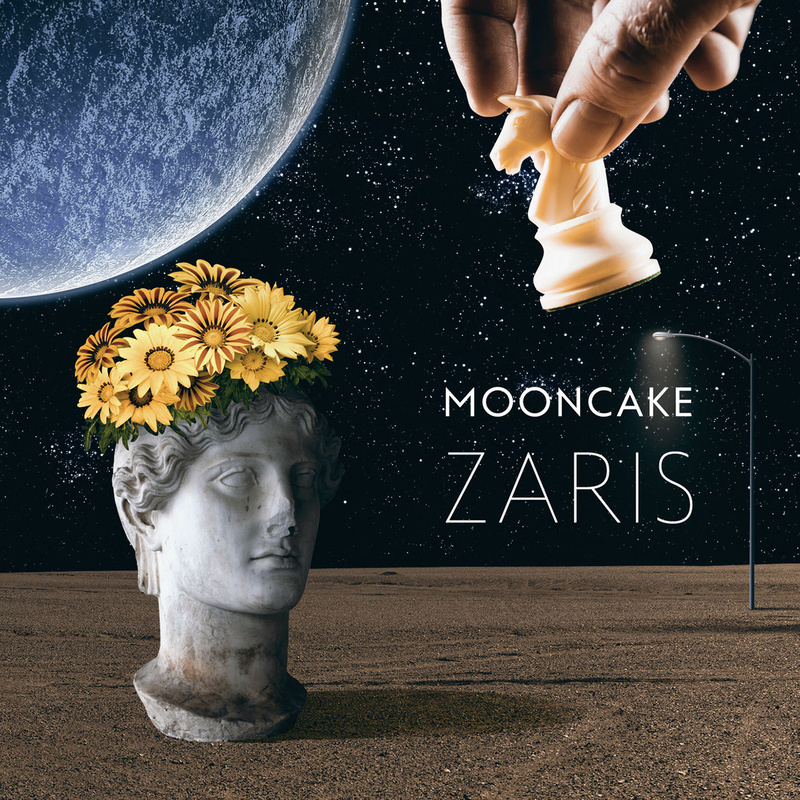 Mooncake spent almost three years working on Zaris. The work started in Moscow in 2011 where the drums parts were recorded in a large concert hall to give an expansive sound. Most of the recording was done in Riga, Latvia at Sound Division Studios, the biggest recording studio in the Batlics, with sound engeneer Gatis Zakis. The string parts and grand piano performances were recorded in a reverb friendly vast Lutheran church sanctuary in Riga that dates to the 18th century. The album’s artwork illustrates the mythical planet Zaris that has not yet been discovered by stargazers and represents imagination and expectations of future explorations in the universe. The band has recently performed a residency in the Moscow Planetarium incorporating their love of astronomy with their increasingly symphonic approaches to live music. The live performances consist of a dozen musicians expansively including guitars, drums, bass, cello, viola, grand piano, vibraphone, trumpet, trombone, and tuba. Mooncake’s debut album, Lagrange Points, gained popularity all over the world with more than one million plays on last.fm. As a result, the band toured all across their Russian homeland, but also played extensively throughout the Baltic region and Commonwealth of Independent States (former Soviet Republics) and had a big Chinese tour in 2011. Additionally, they’ve shared the stage with many of their post-rock peers including Explosions in the Sky, Caspian, Russian Circles, God is an Astronaut, and The Samuel Jackson Five.